Need help storing your summer toys and tools? Santa Fe Self Storage has 3 facilities that all offer safe, convenient storage options with self storage tips for storing summer gear. With drive up storage capabilities and indoor storage units, Santa Fe Self Storage has what you need. 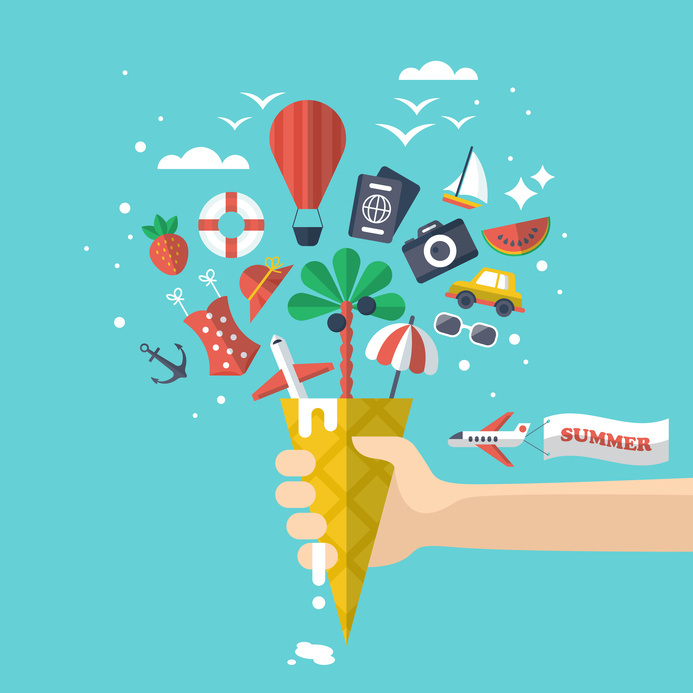 Enjoy the rest of summer while we protect your belongings. Our moving supplies feature boxes in all sizes. Stock up on large boxes for clothes so you can swap your tank tops for sweatshirts. Before putting the beach equipment back into storage, allow time for shovels, buckets, and coolers to dry. Our large storage units make emptying the shed a little easier. Before swapping your seasonal tools make sure everything is still in good condition. Kayaks and canoes hold moisture, so place a few DampRid containers around these water toys to keep moisture away. Temperature controlled storage helps regulate your unit and therefore stop any fluctuating degrees from harming your possessions. After cleaning out the grill apply a layer of oil to the metal parts to winterize it. If you are storing a lawn mower or gas powered tools, drain gas and oil so there is no potential fire hazard. When moving them to storage, avoid stacking pool chemicals on top of one another to prevent spills and waste. Apply paint to wood furniture, wax to plastic, and wash fabric pads. Once these items are spotless, cover them with a dust cover, we have multiple sizes in our office! With all the options self storage presents, our experts are here to decipher what would benefit you most. Small storage units, to large storage units, Santa Fe Self Storage has you covered. Use our self storage tips when you start to plan for winter storage. We have multiple locations near you to better serve our customers. Find the self storage facility near you and start storing today.